If you have been following my foodie blog for the past 6 years you already know that I absolutely LOVE to bake! While I enjoy cooking, my passion is with baking! I love to bake all kinds of things from desserts, cookies, brownies, pies, cakes, cupcakes, bread...you name it, I like to bake it! 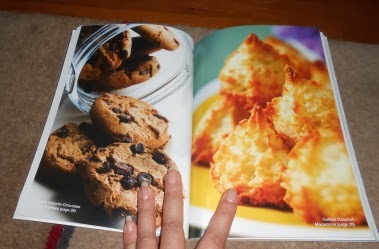 Today I am reviewing a cookbook titled "The 250 Best Cookie Recipes" by author Esther Brody, published by Robert Rose. The ISBN: 978-0-7788-0468-0. This softcover cookbook features 208 total pages with 16 color photo pages. The foodie photography in this cookbook is mouth-watering! Cookies are usually made with straightforward ingredients and are very versatile. They can be eaten at your leisure, and when you're on the run it's great to grab a few to enjoy later. Perfect for coffee breaks, snacks or desserts, most of these delightful recipes are easy enough for even a novice baker to attempt. My Thoughts: This cookbook is broken down into several different chapters. The first chapter is giving you all kinds of tips on making the perfect cookies from purchasing & using the right equipment to freezing cookies and cookie dough. The recipes are broken down into cookie chapters: Drop Cookies, Hand-Shaped Cookies, Cut Cookies, Sliced Cookies, Biscotti, Specialty Cookies, Sandwich Cookies, No-Bake Cookies, Esther's Favorites, Holiday Cookies and Shortbread Cookies. I love that they are broken down like that because I can easily find the type of cookie recipe that I am looking for. For example...a few days ago the family was hungry for some home-baked cookies. I was really busy and didn't have 3 hours to spend baking. 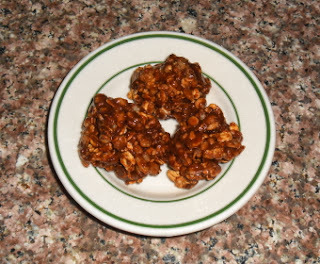 I looked through the cookbook and found the chapter on No-Bake Cookies and made them the No-Bake Granola Peanut Treats (see photo below). These cookies are made on the stove-top and only require 5 ingredients to make them. In less than 15 minutes, I had about 3 dozen cookies made and cooling for them. Later that day, they snatched them up and had them just about gone until I got to them. They were a big hit! With the holidays coming I always go nuts baking cookies for my family and friends. 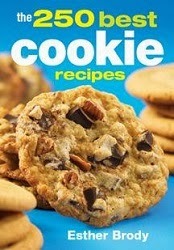 This year I will be busy trying out at least a dozen more cookie recipes from this fabulous cookbook! You can find this book and thousands of others over at Robert Rose. Giveaway: One lucky winner is going to win "The 250 Best Cookie Recipes Cookbook" by author Esther Brody and published by Robert Rose. Value $19.95. Giveaway Details: This giveaway is open to residents of the USA & Canada ONLY who are age 18 and over. Please read the Terms of Service and Disclaimer Policy before entering. You must be a PUBLIC FOLLOWER of this Blog to have your entries count in my giveaways. (Follow via Google Friend Connect) All non-blog followers will have their entries disqualified after the giveaway closes. This giveaway will close on November 13th, 2013 at midnight EST time. I'd also love the 125 Best Cheesecake Recipes book. I follow Shelly on FB as Shelley Joy. I entered the Ends 11/30 Holiday Gift Guide: $300 Care Bears Girl's Bedroom Makeover Prize Package giveaway. I like the Eat Raw, Eat Well book. I entered the Kmart giveaway. I entered the Ends 10/30 2 Coupons for 2 FREE boxes of JOLLY TIME microwave popcorn giveaway. I would love to get the 300 Best Chocolate Recipes. Would love to learn how to cook and bake with chocolate! I entered the Ends 11/21 Holiday Gift Guide: Stainless Steel Glass Panel Toaster by Kalorik $99 Value giveaway. With Christmas right around the corner -- I'd like 300 Best Chocolate Recipes. I entered Food Should Taste Good Tortilla Chips. I entered the Ends 11/22 Holiday Gift Guide: Gorgeous Necklace & Earring Set from WeddingSparkles.com giveaway. I also want the 350 best salads and dressings cookbook. My user name on GFC is Carla Shiver. I entered the High Intensity giveaway on TCC. I entered the Ends 11/25 Holiday Gift Guide: Outdoor Solar Christmas Lights from Outdoor Solar Store giveaway. 12,167 Kitchen and Cooking Secrets. I entered the 250 Best Brownies & Bars Cookbook giveaway. I entered the South Hill Designs Charm Locket Necklace giveaway. I entered the Ends 11/10 Palmolive Soft Touch Dish Liquid + Nail Polish giveaway. I entered the TTC Smart Bones giveaway. I entered the Ends 11/26 Holiday Gift Guide: PlayMG Android Gaming System 24 GB Bundle ARV $180 giveaway. I entered the Ends 11/30 Holiday Gift Guide: Set of 8 Wine Glass Charms from Wine Glass Gems giveaway. I entered the Ends 12/01 200 Best Panini Recipes Cookbook by Robert Rose ** giveaway. I entered the TCC Yonanas ice cream maker giveaway. I entered the 250 Best Brownies,Bars and Squares giveaway. I entered the Ends 12/02 Holiday Gift Guide: 2 Winners! Flameless Candle w/pack of Batteries from Energizer giveaway. I entered the TCC Multiplication Slam Electronic Game giveaway. I'd like to have the Easy Indian Cooking, Second Edition book. I entered the Ends 12/04 Holiday Gift Guide: TURBO Blu-Ray DVD Combo Pack giveaway.